The topic of death before Adam’s fall into sin is a common area of debate between Christians who accept an old Earth and those who insist that the Bible requires a young Earth. Old-Earth creationists (whether or not they are theistic evolutionists) have to accept animal death before the fall. After all, the fossil record records hundreds of millions of years of animal fossils, all of which are certainly quite dead. Young-Earth creationists (YECs) say that there was no death before the fall, and this is part of their theological proof that Earth must be young. Neither Genesis 3, Romans 5, Romans 8, nor 1 Corinthians 15 (the passages most commonly used by YECs) say anything at all about animal death. These passages refer specifically to human death being the result of Adam’s sin. Reading animal death into these passages is an unnecessary extrapolation. YECs point to the curse in Genesis 3 as the origin of animal death. But just like in the other passages, Genesis 3 does not say that animal death is a result of the fall. Again, this is something that YECs read into the passage, rather than something that they draw out of the passage. The curse had some sort of effect on the human relationship with creation (the futility and difficulty of work), but it was not necessarily a radical re-ordering of the creation as YECs insist. A related passage is Romans 8:20-22, which states that the whole creation groans. Just like in Genesis 3, the passage does not state the nature of that groaning, and it doesn’t necessarily include death. YECs often seem to assume that the entire Earth was the Garden of Eden, or that it was Heaven. On the other hand, the opening chapters of Genesis depict Eden as a limited geographic place somewhere in Mesopotamia, set apart from the wild lands outside of the garden. The lands outside of the garden could certainly have been a place where death (and predation) occurred as a warning to Adam and Eve of what would happen if they disobeyed. Without this visible illustration of what it meant to die, God’s statement that they would certainly die if they disobeyed could have been meaningless to Adam and Eve. We assume that in the pre-Fall world, God was only glorified by cute, gentle things like bunnies and daisies. But in the Scriptures, predation is portrayed as something that glorifies God (Job and Psalms (e.g. Ps 104:21)). There is no indication in these passages that something is wrong with the creation. Another indication from the Garden of Eden that animal death could have occurred before the fall is the nature of the Tree of Life. In Genesis, the Tree of Life is provided so that humans could eat of it (one time? on an ongoing basis?) and live forever. There is no indication that the Tree of Life was provided also for animals. 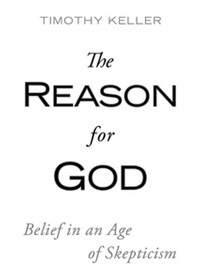 So, if we listen to the YEC line of reasoning, humans needed the Tree of Life to live forever, but animals did not. What would carnivorous animals have eaten if they were forbidden to eat other animals? Many carnivores are very specialized for eating and digesting only other animals and would die on a plant-only diet. Consider animals such as the leach, anteater, or T-rex (no, I don’t buy the YEC ideas that T-rex teeth were designed to crush thick-rinded melons). As I said earlier, predation in the Psalms and Job is something that brings glory to God. Additionally, there is no Scriptural indication that there was a massive re-creation of animals either after the fall or after the flood to make them into predators. I haven’t even touched on the scientific problems of there being no animal death before the fall, even within the YEC scenario. These arguments may not convince hard-core YECs, but I hope I have at least shown that “no death before the fall” doesn’t necessarily flow out of the pages of Scripture, and that other Biblical understandings of animal death are possible. I didn’t say anything about majorities or minorities. I only took a closer look at what the Bible actually says about death before the fall, and it doesn’t match what the young-Earth creationists are saying. How do you as an “old Earther” explain the first chapter of the book of Genesis? Just wondered how the days fit in your Scientific/Theological worldview. My pastor takes exception to your analysis. He says Romans 5 and Romans 8 are very clear that ALL death is a result of Adam’s sin. If death, disease, and corruption are not a result of the original sin, then your only alternative is that they are by God’s design. 2. there could not have been death before the fall. This post was just an analysis of the second of these. I need to write a longer post about Genesis 1, but I’ll give you a brief answer now. First, the word “day” (yom) is used in a non-literal way at least once in the passage, and that is in Genesis 2:4, which says, “These are the generations of the heavens and the earth when they were created, in the day that the Lord God made the earth and the heavens” (ESV). Here, “day” clearly refers to the entire period. If it is used in a figurative way here, then that opens the door to it being figuratively elsewhere in the passage. Second, what is the meaning of “day” before the appearance of the sun and the moon on day four? It is possible to think of the days of Genesis 1 as God’s work days rather than as literal days, especially when the sun and moon weren’t available for tracking time. Third, Moses—the author of Genesis—uses the word “day” very loosely in Psalm 90: “For a thousand years in your sight are but as yesterday when it is past, or as a watch in the night.” The context of this passage is creation, with clear parallels to Genesis 1-2 so I’m not taking it out of context. Fifth, a lot happens on the sixth day. God creates the animals, he creates Adam, Adam names the animals, Adam figures out that none of them were a good match for them, God creates Eve, and Adam says, “At long last.” The standard YEC interpretation was that Adam was some sort of super-human, and ran through the day like a movie in fast-motion. This doesn’t seem to match the relaxed pace of Genesis 1. These arguments may not convince die-hard young-Earth creationists, but I hope what I have said is sufficient to show that a Biblical case can be made for an old-Earth. There are a variety of old-Earth interpretations that are held by theologically conservative Biblical scholars, such as the day-age, analogical days, and framework interpretations. I make no commitment to any one of them. I will say that I think one of these is correct, and that the young-Earth interpretation is incorrect. It is certainly Biblically possible, but it is not the only Biblical interpretation that is possible, and I don’t think it works at all scientifically. I understand where your pastor is coming from, but with all respect, neither of these passages says anything at all about animals. Animals could be included, or they might not be. The Bible simply does not say. Being that the Bible does not say one way or the other, the “no death before the fall” argument becomes a “it seems to me that God wouldn’t do it that way” kind of argument, which is a little risky. I don’t claim to understand how animal death fits into God’s plan. One proposal is that Eden was a refuge withing an otherwise wild world (remember, in the Bible Eden is a specific place in Mesopotamia, not the entire Earth). The “wildness” of the outside world would have had two purposes. One was as a warning to Adam and Eve of what death would be like if they disobeyed. The other is that it was a world to be subdued. The gentle, “bunnies and daisies” world that is often portrayed by YECs wouldn’t need a whole lot of kingly subduing. I don’t know, but there are possibilities. a 24 hr. day in the creation account cannot be supported thru a correct linguistic treatment. 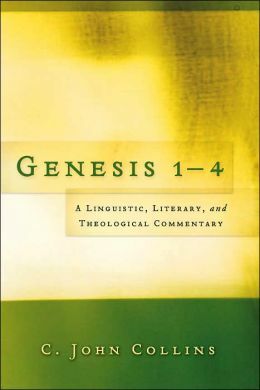 in “Reading Genesis One” Rodney Whitefield shows conclusively, that the word day (1) refers only to the light, and (2) that “yom” (day), should be translated “time”. it may be surprising to some, that out of over 50 occurrences of “yom”, only a handful refer to 24 hrs., and they are not in Genesis 1 and 2. incidentally, Gen. 1:3, which begins kjv “and God said”, should be “and God had said”, which is another example of the pluperfect from the above post. Are you kidding? Clearly GeoScientist has done extensive research on these issues, and taken the time to share it with us. Trying to dismiss it all with a sarcastic quip does nothing to counter that, and only detracts from your own credibility. 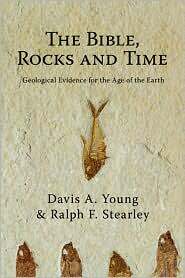 Even if most laymen on earth believed the earth was young (and do you have some evidence that? ), it would only indicate the lack of good science education in many parts of the world, not the validity of YEism. Indeed, what your remarks obscure is the important fact that among scientists and those who _have_ researched these issues in depth, only a small minority support a young earth. Among those most familiar with the evidence (working geologists and paleontologists), virtually all reject YEism. Thanks. Pingback: Animal Death?- A Theological Argument Against Young Earth Creationism « J.W. Wartick -"Always Have a Reason"
Pingback: Adam, Animals, and the Fall: A response to ‘Defending Genesis’ « J.W. Wartick -"Always Have a Reason"
You must be more specific than “look at the book of Job.” I am not sure what chapter or verses you are referring to. You are probably not referring to Job 38:39-41 or 39:29-30, where predation is viewed as part of God’s provision for his creatures. There is no hint at all that God sees a problem with lions or hawks eating meat. It is part of his good creation. If it includes Animals, then this should make perfect sense to replace general terms “many”/ “all”/ “men”/ etc to apply to animals. Romans 5:15 – … For if the [Animals] died by the trespass of the one man, how much more did God’s grace and the gift that came by the grace of the one man, Jesus Christ, overflow to the [Animals]! Romans 5:16 – Again, the gift of God is not like the result of the one man’s sin: The judgment followed one sin and brought condemnation [to animals], but the gift followed many trespasses and brought justification [to Animals]. Romans 5:17 – For if, by the trespass of the one man, death reigned [to Animals] through that one man, how much more will those [Animals] who receive God’s abundant provision of grace and of the gift of righteousness reign in life through the one man, Jesus Christ. Romans 5:18 – Consequently, just as the result of one trespass was condemnation for all [Animals], so also the result of one act of righteousness was justification that brings life for all [Animals]. Romans 5:19 – For just as through the disobedience of the one man the [Animals] were made sinners, so also through the obedience of the one man the [Animals] will be made righteous. A good point, though – if “all” includes the animals in Romans 5, the interpretation gets really hinky really quickly since in that interpretation animals can apparently accept Jesus as their savior, and those animals that do will “reign” in heaven. Somehow I really don’t think cows, mice, beetles, and bacteria are going to have mansions and be rulers in heaven. I saw it was a dead thread. And an old post. I just wanted to add my 2 cents. Anyone who reads this in the future will see it. but yea… animals clearly aren’t intended to be considered based on the text. JT — thanks for your insights. I hadn’t seen that type of analysis of Romans 5, but it makes sense. I’ve found that if you find something that “makes sense” it usually happens to be an Old earth perspective, and also happens to be a big problem for YEC. Actually no one has determined the exact location of the edenic paradise. It’s only associated with names of rivers, no geo. information is given other their proximity to each other Gen2 easily destroyed by a global flood..
dj, if the rivers were destroyed by a global flood…. why would God have Moses write it down? … which basically means “it was there, and (at the time of Moses’s writing at least) is still there. We have one of our graduate dealing with this issue at our Spring Theology Conference on The Doctrine of Man. To feel so determined that animal death has anything to do with anything is just weird. This article spends its time making sure death before the fall is only for humans, but doesn’t come with 1 verse to support that there was death before the fall, (yet that’s the title of the post) So this supports your presupposition that evolutionary dating becomes your authority. But with the same dating you can say death occurred for humans pre-fall too. So your dating methods supports animal death but aren’t used for human death, mix in a little scripture there, some evolution there and voila, you got your geochristian theories. weird. It’s hard to tell if you are against YEC or the Bible, when YEC is just the Bible straight up. There’s no reading into 7 days separated by morning and evening or genealogies with exact ages. Digging deeper to satisfy you evolutionary dating definitely means you don’t stand on the Word alone. And if you do feel you stand on the Word alone, how do you even come with these presuppositions scripturally that the earth is older than what the Bible says? I’m not sure why you think it is weird for me to be discussing animal death before Adam’s sin, as this topic is a foundation for young-Earth creationism. A very common YEC argument is that Earth cannot be billions of years old because death (according to them) did not occur before Adam’s sin, and the fossil record contains remains of zillions of animals. Therefore the fossil record was formed after Adam’s sin. What I have shown (by Scriptures, not by “evolutionary dating”) is that the Bible teaches no such thing. One of the foundations for YEC is something YECs read into the text of Scripture, not something that is actually found in the Word of God! I am defending the truthfulness of the Bible. This “death before the fall” issue is one where it is the YECs who don’t read the Bible “straight up” as you say it. Well, I’m a young earth creationist that has never considered this death before the fall to have anything to do with the time lines mentioned in the Bible. Death before the fall is mentioned after the 7 days (referenced throughout scripture as a week in references to the Sabbath). And I never needed to agree with or disagree with death before the fall to support the lineage our Savior comes from starting from Adam. You say the Bible teaches no such thing on YEC. But does it teach anything on old earth creationism? If I were to consider old earth creationism, when would this millions of years have happened (scripturally)? It’d be much easier to share the gospel with the mainstream public and evolutionist if I embraces these ideas, so i’m curious. But at the same time want to stick to the Word. Love these views though :) This is all new to me, Bible believing Christians thinking outside the literal 7 days. The Bible does not teach that the Earth or universe is billions of years old. Nor does it require an Earth that is only a few thousand years old. I teach that the Bible is open-ended on the topic, just as it is on a host of other scientific questions. Augustine (more than 1400 years before Darwin) taught that the days of Genesis were allegorical, with spiritual rather than physical meaning. One reason he did this was the insight that there was no sun or moon before day four, so the first three days could not have been in any sense ordinary days. There are a number of things in the opening chapters of Genesis that are not as straight forward as YECs try to make them out to be. God’s work is not like our work. God’s rest is not like our rest. God’s nature is not like ours, though we are made in the image of God. 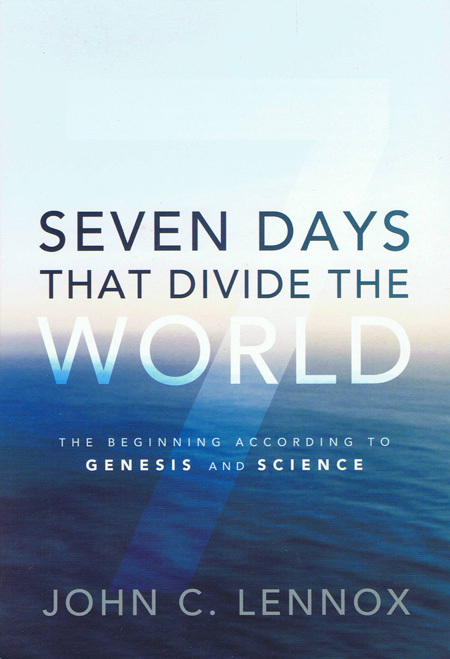 Therefore, we can expect that there are other things in Genesis 1 that are not like what we experience: God’s work days are not necessarily like our work days (especially in light of Augustine’s insight and the fact that “day” (Hebrew yom) is clearly used in a figurative sense in Gen 2:4). I’d love to attend the conference. I would appreciate it if you would send me a link if the messages are posted online at some point. Exactly, the Bible gives no details about age for the Earth. Just like the Bible gives no details about the curvature/(or flatness) of the Earth. Just like the Bible gives no details about interstellar movement of planets & the Sun. They can point to a few verses that COULD support their position. But after further analysis, you can see that the Bible really says no such thing. Thus a moving/stationary flat/round old/young earth is not something that one can determine from Scripture, and nor should someone use it for those purposes. I have personally found that the only reason I believed (past tense) in a Young earth is by trying to make Scripture address something that it isn’t addressing. I assume the same would be for the Flat and/or Stationary earth. I can honestly say I’m open to the possibility of an old earth now. But I don’t think I could ever be as aggressive about pushing a possibility as you are. James makes a good point about aggressiveness. I personally try to limit my aggressiveness on the OEC/YEC debate by only aiming my aggressiveness at aggressive YEC claims. 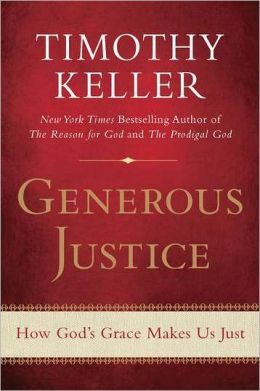 Though I need to remind myself to also keep my debates with “gentleness and respect” (1Pe 3:15). I agree with JT. I seek to keep the discussion at the “gentleness and respect” stage, though I may fail at times. Jeff and James — I encourage reading works from both sides. Three Views on Creation and Evolution, edited by Moreland and Reynolds is a good place to start. 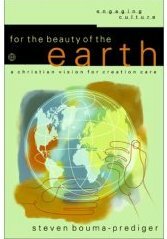 As a counterbalance to Did God Create in 6 Days I would suggest Genesis 1-4 by C. John Collins. 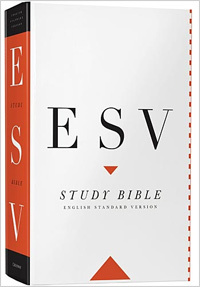 Another excellent resource is the ESV Study Bible, the notes of which give a nice overview of the issues. A good online resource is the PCA (Presbyterian Church in America) Creation Study Committee Report, which gives a presentation of various interpretations held by conservative biblical scholars. The book (and conference) mentioned above has Collin’s speaking for himself (which is why this book is so good), but it also has a critique of Collins. Perhaps the audio with Q&A between these men is better to listen to. By the way, Richard Belcher of RTS just finished a (short) critique of Collins at our conference. This material should be online in the near future. Here is a brief outline (my own) of the lecture given by Matthew Holst on the topic of Death Before the Fall, at the recent Greenville Seminary conference. Also, you may want to take a look at Rachel Miller’s run down of Richard Belcher’s lecture “The Supernatual Creation of Man”, a lecture delivered at the same conference. Jeff — thanks for the update. I have skimmed Rachel Miller’s summary, and will look at yours. Did Holst find some place in the Bible that teaches that there was no death before the fall? Jeff — I agree that we would not need a verse that reads “no death before the fall,” just like we do not need the word “trinity” in the Bible to believe in the trinity. The Bible teaches that Jesus is God, the Holy Spirit is God, and that the Father is God. It also says that there is only one God. We put this all together and come to the Trinity, which is clearly taught in the New Testament and consistent with the Old Testament. The thing is, you cannot do the same with “no animal death before the fall” because it is nowhere taught in Scripture. On the contrary, there are passages (in Job and Psalms, e.g. Ps 104) that teach predation (which involves death) as part of God’s good provision for some animals and as something that glorifies God. Note in Ps 104 that there is no hint that there is something wrong with this. I believe Holst makes a good case, as to why we should take the Bible to be indicating that there is no death before the fall; based upon the Bible’s definition of life, the character of God, and Adam as not only our representative, but that he represents creations, and (while he did not expand on this), the fact that Heaven is certainly a recreation of the Garden, and, the new heavens and earth, we certainly includes animals, and their will be no death – unless you want to allow for animal death in heaven. Jeff — I agree that Ps 104 is post-fall. But it does teach predation as part of the goodness of creation. It also does not tie animal death to the human sin mentioned at the end of the psalm. It does not teach that there was no animal death before the fall. Just as the Bible does not teach that there was no animal death before the fall, it does not teach that “Heaven is certainly a recreation of the Garden.” It also does not teach that we are going to heaven in the resurrection, but rather that we are going to dwell in the new Earth, and that heaven (the dwelling place of God) will descend on the new Earth so that we will live in the very presence of God. I agree that there will be no animal death in the renewed creation, but the Bible does not teach that the new Earth is a return to Eden. The new Earth is a fulfillment of what should have happened at Eden but didn’t because of Adam’s sin. In Christ, the second Adam, everything good that did not happen because of Adam’s sin is now (or will be) accomplished, not only in us, but in all of creation. Jeff — I need to take something back that I said in #43. There could be some forms of animal death in the new Earth. The resurrected Lord Jesus Christ ate fish (Luke 24:42-43), which implies two things. The first is that the consumption of fish is not tied to the fall. The second is that eating fish is not incompatible with his resurrection, and therefore not inconsistent with our resurrection. I have only just started formulating this line of thought. Man is created in God’s image. That is why the punishment for shedding blood is shedding the perpetrator’s blood (Gen. 9:6). Man has an eternal destiny, either to eternal damnation or eternal blessedness. On the other hand, animals are not created in the image of God. They, as far as we know, do not have an eternal destiny. Their existence is just in this life. They are not “moral” creatures and therefore cannot be judged as humans can. Therefore, we cannot ascribe the same level of evil and sin to animal death as we do to human death. As for animals in the new earth, Revelation does not mention any animal life. Though if you look at the Old Testament descriptions of the promised restoration (which I take to be of the new heavens and new earth of Revelation), there are metaphors using animals, e.g. “the wolf will live with the lamb” (Is. 11:6, Is. 65:25). Do these indicate that there will be animals but no more predation or are they a metaphor for the way the earth is turned upside down from the human strife what we know at present. It is ambiguous. On the other hand, silence on animals in the new earth does not necessarily mean absence. The audio of Matt Holst’s lecture is now online and located here. Also, just noted a new article in the Answers Research Journal “Did Death of any Kind Exist Before the Fall?”, by Simon Turpin here. One more, in the latest edition of Bible & Spade, an article on this issues appears. I have scanned the Answers Research Journal article, but need to give it a more careful reading. But even without reading it, I can tell you that they did not find “no animal death before the fall” in Gen 3, Rom 5, Rom 8, or 1 Cor 15. I did read the section in the Answers Research Journal article about the tree of life, and wasn’t convinced. In YEC theology, there is no purpose for the tree of life unless humans failed the test, and after they sinned there was still no purpose for the tree of life because it was taken away. The article is also weak in its treatment of Eden. Was Eden all of the Earth, or a specific place in Mesopotamia (as the Bible describes it and as any Hebrew reader would have understood it)? Was there a distinction between Eden and the rest of the Earth, or was it all the same? If the world outside of Eden was tame and harmless, what would Adam have had to subdue in the “perfect” world of YEC theology? The pattern repeats in vv 19-23. I noticed that the article does not address the fact that the risen Lord Jesus Christ ate fish. This implies that the death of fish has nothing to do with the fall. I appreciate your input. I will give it more thought and prayer. Lets think about this again. c) He was Spiritually dead. d) He also Physically died (at the age of 930). Everyone agrees with the above points. – “Sin lead to Spiritual and Physical death”. And everyone still agrees. But now let us look at direct vs. indirect causation. So Adam was going to imediately die (in some way) as the result of this sin. So, even in Adam’s state of sin, God said that Adam had the possibility to live forever. 1) Eating from the Tree of life had the power to forgive sins (and thus let Adam live physically forever). 2) God was lying, and Adam woudln’t have lived for ever even if he did eat from the Tree of Life. I Find both of these options completely unacceptable. #1 Makes a mockery of Christ’s atonement. Further more, such a view of Sin & Death would make the Tree of Life GREATER than Christ’s atonement! Think about it! People who accept Christ’s forgiveness of sins…. STILL PHYCICALLY DIE! Yet, God clearly states that eating from the Tree of Life would PREVENT physical death, you would “live for ever”! Point 1) Your Physical state of being alive/dead depends on access to the tree of Life. Point 2) Your Spiritual state of being alive/dead depends on your state of sin. Clearly, the Tree of Life was planted AFTER God made Adam. Thus, prior to Adam, no animals would have had access to the tree of life. Therefore by the above “Point 1”, Animals prior to Adam’s creation could (and likely did) die. (ie death) while man initially was exempted from the equation. This is what I believe. Gordon — Thanks for your comment. My main objective was to show that there are biblical reasons why one doesn’t have to believe the YEC “no death before the fall” dogma. But, as your point out, Earth would have quickly become uninhabitable if each species were to reproduce without limits. What do you think about Isaiah 11:6-9 where it talks about the “wolf lying down with the lamb”? YEC’s use that as an argument for animal death pre-Fall by saying that Isaiah is talking about a return to a pre-Fall state in heaven and I was wondering how to answer that charge. Some conservative interpreters look at the passage as more symbolic. To them, it is not necessarily about literal lions, wolves, oxen, and lambs, but about a future time when predatory nations such as Assyria will no longer prey on God’s people. See, for example, the ESV Study Bible notes on the passage.